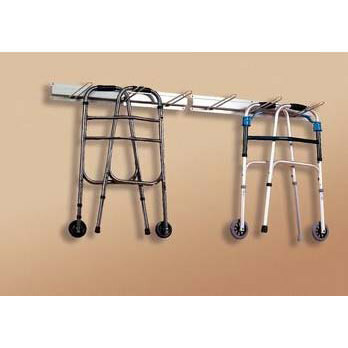 Sammons Preston storage rack Base length 33" L x 5¼" W Length 66"
Sammons Preston storage rack is an attractive, 66" long, wall-mounted rack that holds up to twelve 6"or 8" diameter rolls or six of the larger sizes. 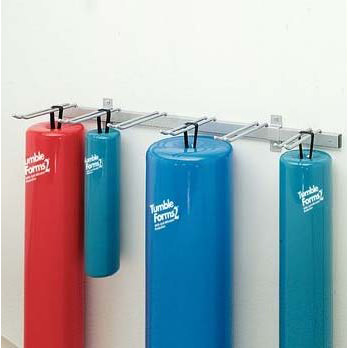 Rolls are hung out of the way by the loops built into each one. 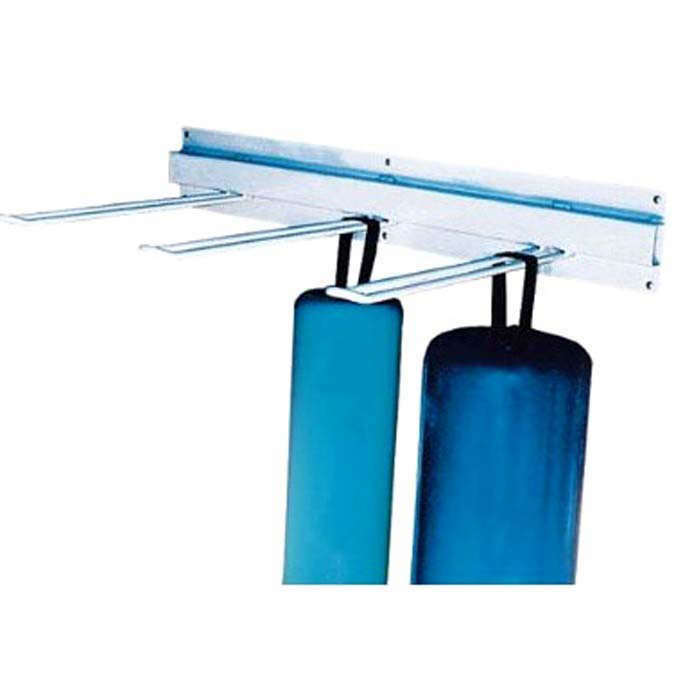 Tumble forms rack consists of two bases - each 33” L x 5¼“ W and extends 16½“ from the wall. 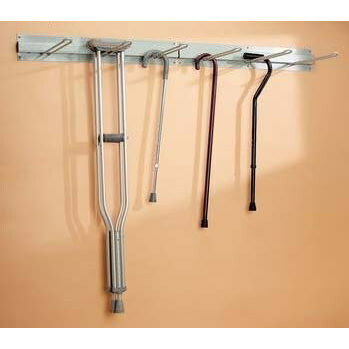 Rack is designed for cane, crutch, roll and walker and is latex free.